You made it through the week! Here's a fresh round of deals to celebrate. NVIDIA's GeForce RTX 20-series cards may be dominating the news cycle now, but if you're looking for an affordable card, there's always AMD's Polaris GPUs. 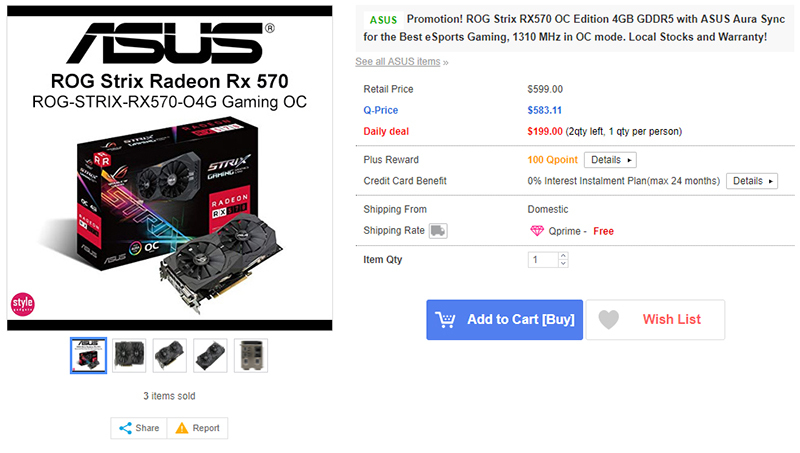 The ASUS ROG Strix RX570 OC will do well enough for 1080p gaming, and it comes with factory overclocks for a small performance boost. You can get it on Qoo10 at S$199 (U.P. S$599). 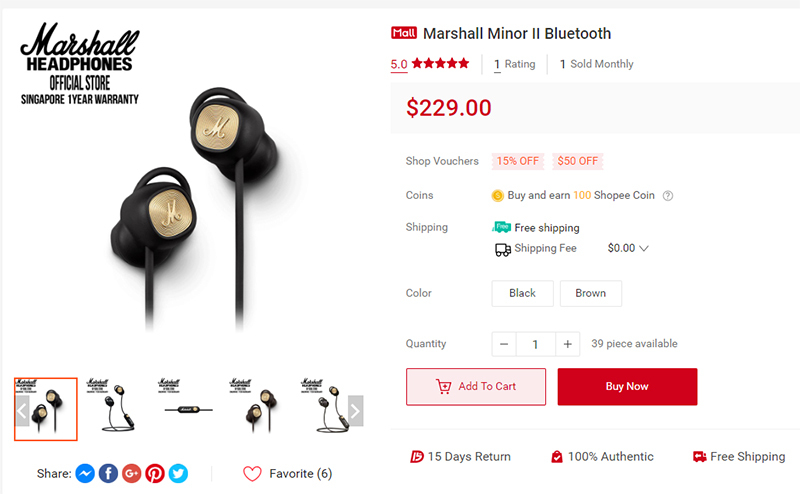 The Marshall Minor II Bluetooth earphones are powered by aptX technology, which supposedly offers better audio quality over Bluetooth. It also features custom-tuned 14.2mm drivers and a unique fitting mechanism that uses adjustable ear loops to help you get a better fit. It is available on Shopee at S$194.65 (U.P. S$229), after applying the code MARS1111. The Razer DeathAdder Elite is based on PixArt's excellent 16,000DPI PMW3389 sensor, which is basically Razer's custom version of the PMW3360. It also features textured rubber side grips for your long gaming sessions and an upgraded scroll wheel with more tactile notches. You can get it on Lazada at S$79.90 (U.P. 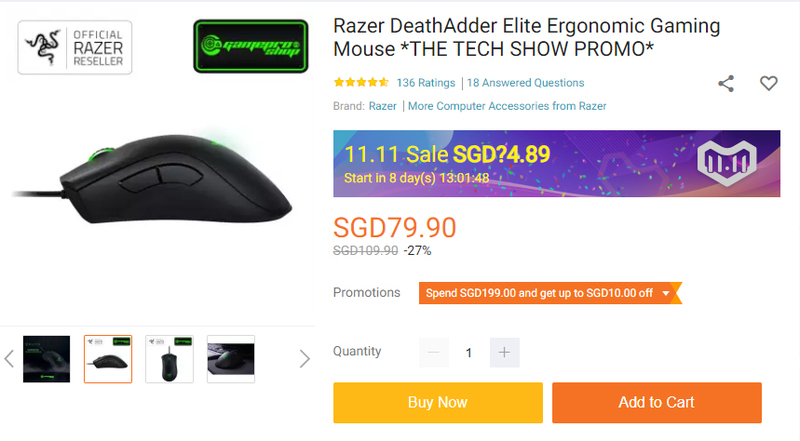 S$109.90).